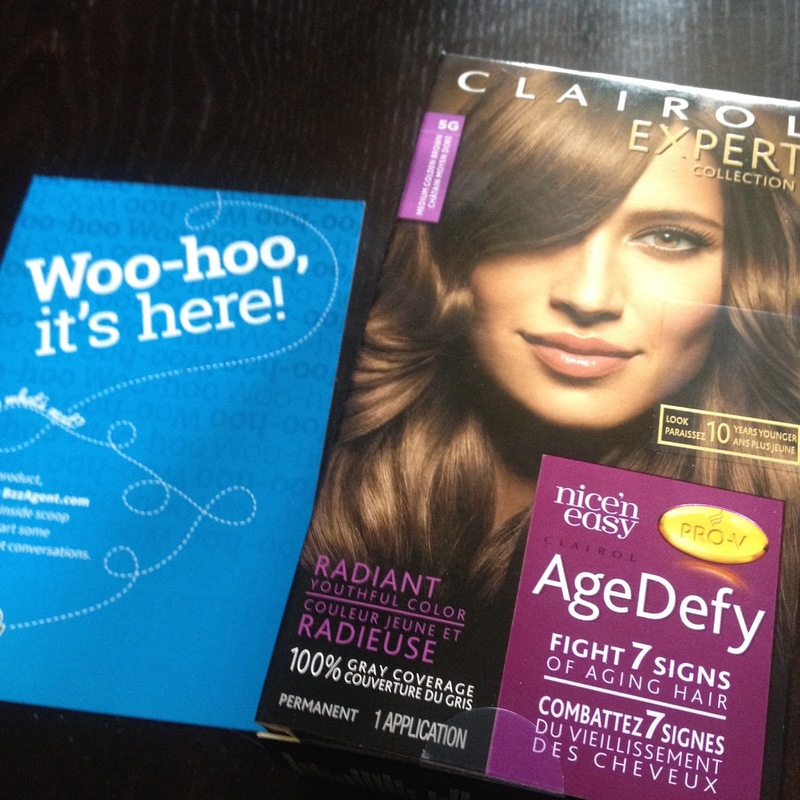 I was so happy and very lucky to be one of the many women to be chosen to try and review #forfree @BzzAgent and @Clairol to try this totally NEW Experience in hair coloring that will help you to fight 7 signs of aging hair. I choose @Clairol Expert Collection Medium Golden Brown which was a very scary for me because I have always been a blond all of my life. But with turning 55 years old this August. I really wanted a change in the look of my hair because it seemed like it was more grey than blond and it also looked washed out. I wanted a much brighter appearance, hopefully a more youthful and healthier look to my hair. With this NEW @Clairol #AgeDefy That helps Fight 7 Signs of Aging Hair. I was going to give it a try and do my best to give a honest testimony of my own opinion and what other family, friends, co-workers and Social Networks thoughts of my finished results. 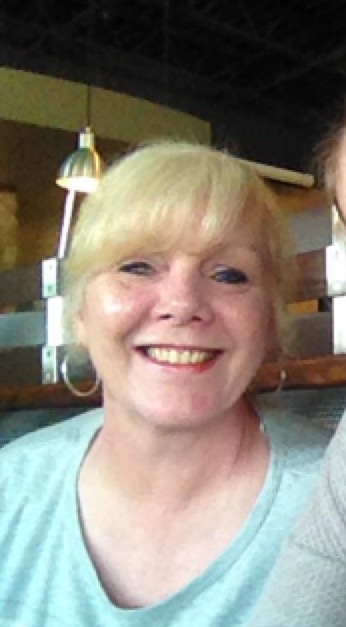 This was me before I used @Clairol #nice&easy #AgeDefy Hair Coloring. Even though I really loved being blond I wanted to see if @CLAIROL #ExpertCollection #AgeDefy Hair Coloring would really make a big difference not only in the color of my hair but also in the texture, condition, feel and total coverage of grey. Which I have been trying to cover up for many years now. 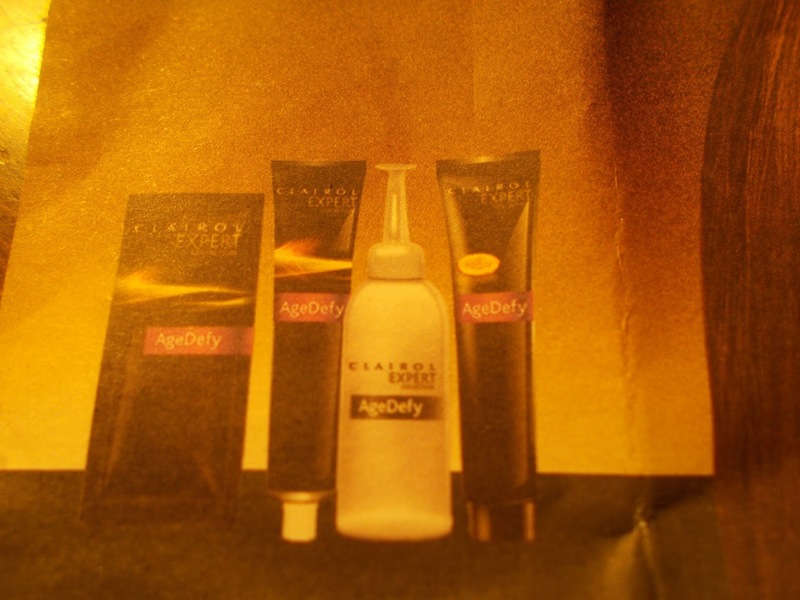 @CLAIROL #ExpertCollection #AgeDefy Hair Coloring Kit comes with a total of 3 steps to more Beautiful and #AgeDefy hair. This @CLAIROL #ExpertCollection #AgeDefy Hair Coloring also contains Pantene Pro-V Color Seal Conditioner to help seal in the color and keep it rich, shiny and well conditioned wash after wash. 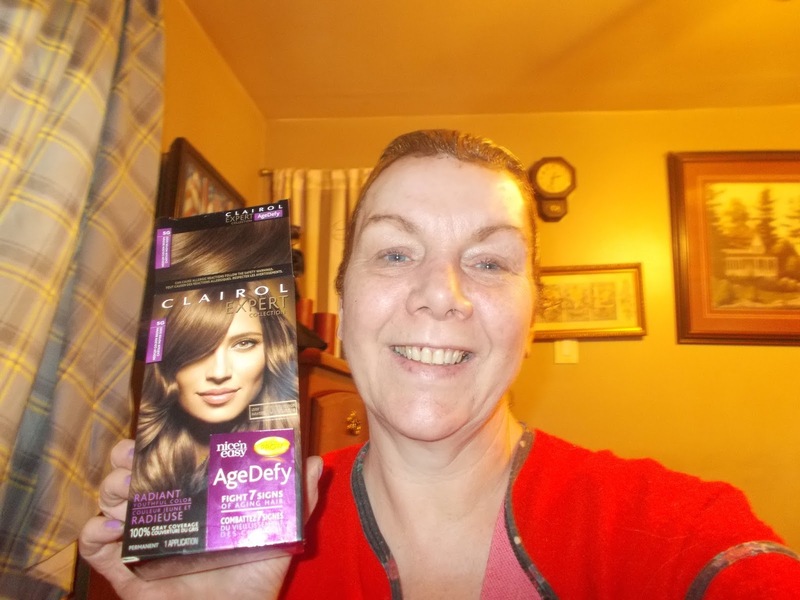 I found @CLAIROL #ExpertCollection #AgeDefy Hair Coloring very easy to apply, it also came with gloves and detailed directions. I really was impressed with the Age Defy Pre-Treatment I have never used another hair coloring product with this before. I felt it helped to protect my hair while adding the coloring so I felt my hair was getting the best care.I mixed the Color Cream and the Activating Cream gently mixed well and stared to add to my roots first in even sections and then I worked the Color Cream throughout the length of my hair. There was no harsh smell, no mess and very easy to clean up around my face line and neck. It was so gentle. 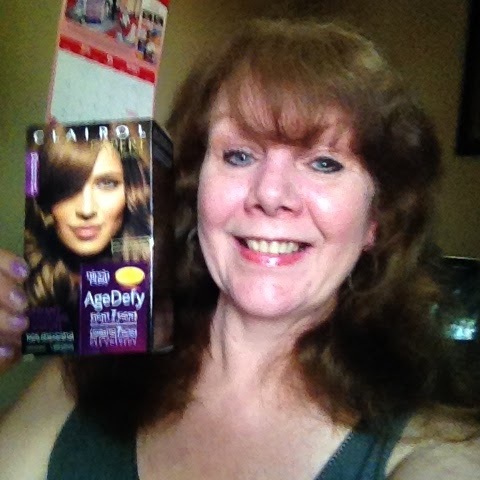 I left @CLAIROL #ExpertCollection #AgeDefy Hair Coloring on my hair for 35 minutes. Then I worked and massaged in to a lather and rinsed very well. Then I applied @Clairol Pantene Pro-V Color Seal Conditioner all over my rinsed hair and let it sit for a few minutes to deeply penetrate and condition my color treated hair. That was it 3 very quick and easy steps. Towel dried and then I used a blow dryer to style my hair. I was very surprised with how my hair felt so soft, very well conditioned and so much easier to manage. I really like the way @CLAIROL #ExpertCollection #AgeDefy Hair Coloring covered all my grey completely. I also liked the rich color so vibrant. It seemed to make my blue eyes pop and brought back a youthfulness to my look. Very happy with my finished result. I received many very nice compliments from friends, co-workers, family, customers where I work and on Social Media Sites like Facebook and Twitter. Only a couple of people said they liked me better as a blond. I had many people say that the color is perfect on me and asked me what kind of coloring I used. I am so thankful to @BzzAgent & @Clairol for letting me take part in @CLAIROL #ExpertCollection #AgeDefy Hair Coloring Campaign it has been a life changing experience for me. Thanks for helping me have more beautiful looking hair. I will definitely be sharing @CLAIROL #ExpertCollection #AgeDefy Hair Coloring with women my age who want to turn back time and feel much better about their appearance of their hair too. I will be writing another blog post in awhile to show how well @CLAIROL #ExpertCollection #AgeDefy Hair Coloring lasts after wash after wash.